Keeping a strainer over your sink and shower drains can prevent pesky clogs. The following content is created in consultation with Michael & Son. It does not reflect the work or opinions of NBC Washington's editorial staff. To learn more about Michael & Son, visit MichaelandSon.com. 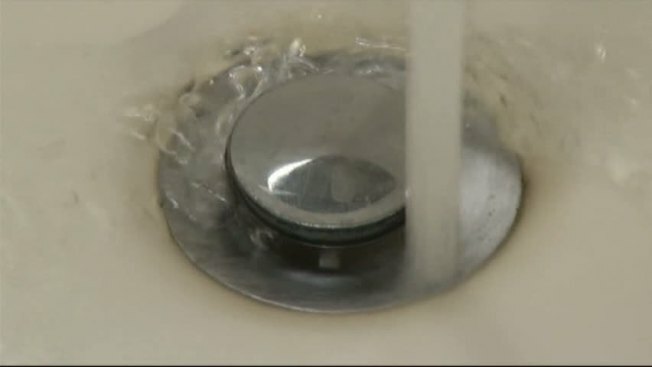 We've all had it happen - a stubborn drain won't swallow dish water, your shower suddenly fills up like a swimming pool or, worse, the toilet refuses to flush. Fortunately, these instances are easily avoidable. The secret is being mindful of what you put down your drains, and stopping those pesky clogging agents from even making it there in the first place. Here are a few dos and don'ts to keep in mind when using your sink, shower and toilet. In the best-case scenario, you own a garbage disposal, so your sink can easily digest large chunks of food. If you don't own one, you can always give Michael & Son a call to install one. In the meantime, though, make sure to keep a strainer over your drain. Maintaining a clean drain is as simple as remembering to periodically empty the strainer into the garbage. For an even cleaner sink, be certain to avoid pouring grease or any type of fat down the drain. These liquids will expand in your pipes on chilly days. No household can evade the dreaded clusters of hair that appear at the bottom of the shower. But fear not, you can still prevent that hair from falling into your drainage system. Just as you'd maintain a sink, consider keeping a strainer in the shower, which will prevent clumps of hair from navigating down the drain and sticking there permanently. The second shower drain killer is, surprisingly, soap. When pieces of soap get too small, they can mingle with loose hair and cling to the inside of your pipes. The solution? Simply unwrap a new bar of soap before the old one gets too small. Last but not least -- and definitely the last of these drains you want clogging up! -- is the toilet. To prevent the dreaded toilet clog, never flush any paper products outside of toilet paper. All other paper will cause trouble, including facial tissues, paper towels or women's products, amongst many others. Remember, your toilet is not your trashcan. Drains are simple problems and usually require a simple solution. Most of the time a product like Draino will make short work of even the most stubborn hair clogs. A plunger is usually all you’ll need for a simple toilet clog and they are very easy to use. However, you may need more than a plunger, depending on what’s down there. Keeping your drains cleaned is easily done when you follow a few simple rules. Repairing a clogged drain is simple enough but can be a bit more involved. In those situations, you’ll need the help of a professional. The Residential Plumbing Division at Michael & Son can handle any job, from simple toilet repairs to mainline replacements. Be sure to check back with us for more DIY household tips. Also, like us on Facebook, follow us on Twitter and subscribe to our YouTube page to find out about special offers, upcoming events and much more!